After presenting fans with a jaw-dropping sensational and steamy video with boyfriend Tyga to her fans as a Christmas present, Kylie Jenner dropped another surprise for her millions of followers. The 19 year old, who is the founder of the successful Kylie Cosmetics line, and pioneer of the Lip Kits, released a sneak peek of the Royal Peach KyShadow Palette, a night before New Year's Eve. 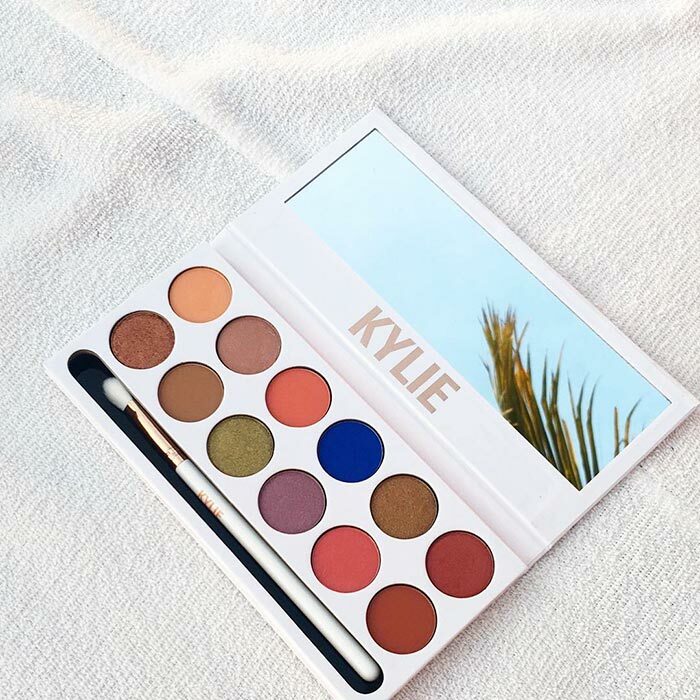 Kylie's latest palette comes in a chic rectangular palette with a mirror attached and an eyeshadow brush, and offers gorgeous and wearable shades. The Royal Peach palette offers 12 vibrant and vivid hues, and is said to be the greatest offering from the line of cosmetics since its launch in 2012. 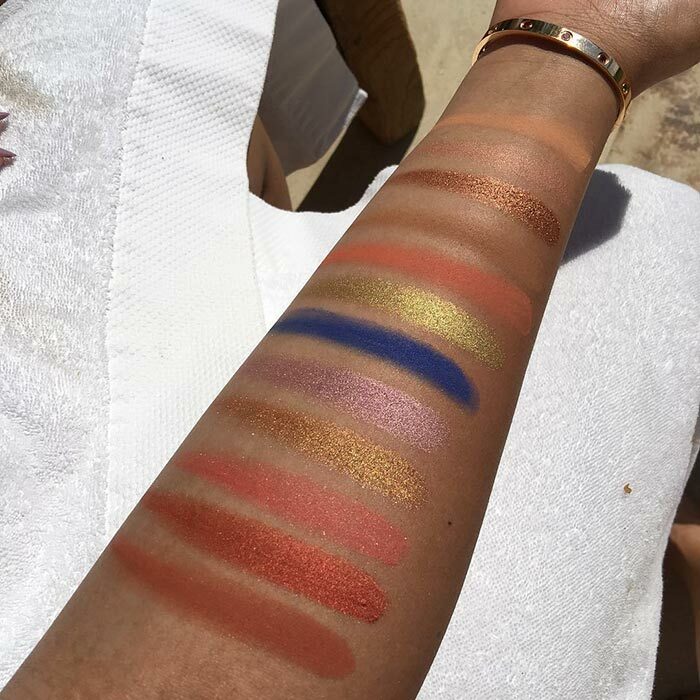 Kylie also did a swatch of the bold colours on Snapchat, and all the shades look impressively pigmented, and are a mix of matte and shimmery colours. 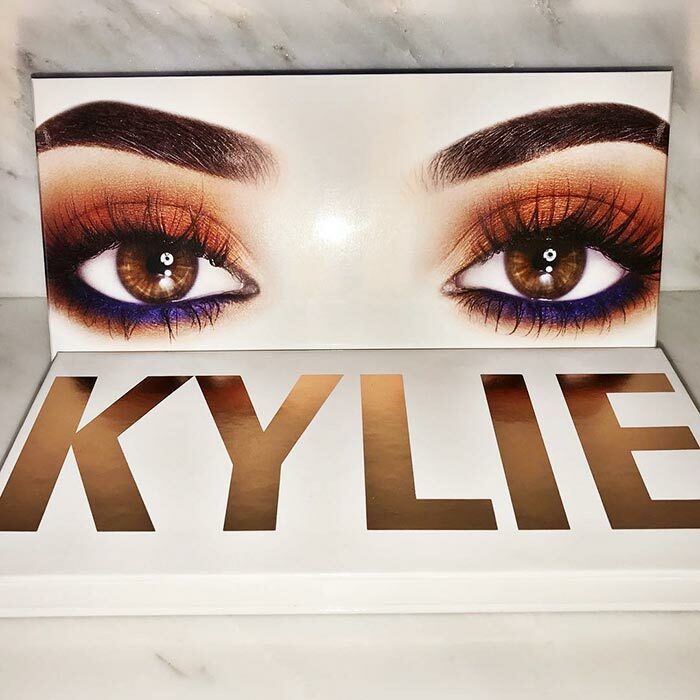 The KyShadow Royal Peach Palette will be launched on 12th January at 6pm PST/ 3pm EST, and will no doubt be sold out withing minutes of its launch, just like other Kylie Cosmetics products. The palette, though is not unusual, but the velvety royal blue hue attracts immediately and stands out in the palette, and one can play around with the colours as numerous looks can be achieved through this eyeshadow palette.